Seattle Southside has always been known as a destination for families. This four-day itinerary will give you a pretty good idea of what attractions and restaurants are great for kids and parents alike! Start your trip off right with a trip to the largest private air and space museum in the world! 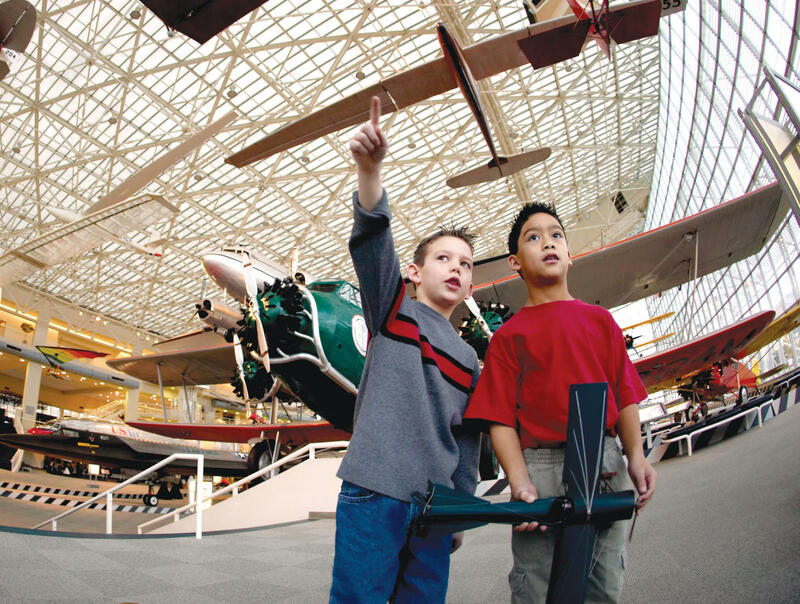 There’s something for everyone at The Museum of Flight and kids are no exception. In addition to the SR-71 Blackbird, the first jet-powered Air Force One, and the actual space shuttle trainer that all shuttle astronauts trained in, check out the Kid’s Flight Zone, where kids can practice flight in simulators, learn how engines work, and sit in the cockpit of a helicopter! Calm the post-flight buzz with a lunch that everyone loves, BURGERS! Savor handcrafted specialty burgers and fries at Red Robin. Have a picky eater? The kids menu serves up simple, smaller burgers, mac ‘n’ cheese and even an ice cream sundae! Use that sugar high to hype the family up for your next experience just around the corner at iFLY Seattle. Ever heard of indoor skydiving? iFLY Seattle has a vertical wind tunnel making indoor flight easy, fun, and safe for all ages. After a tutorial, get suited up for your turn in the tunnel. Additional photos and videos are available for purchase to help you all relive the excitement over and over when you return home. 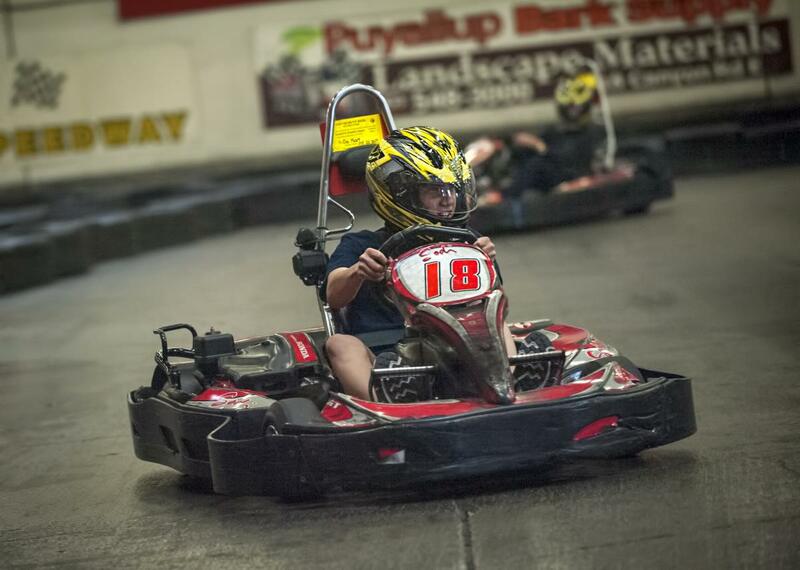 Start your day off in the fast lane at Sykart. These state-of-the-art go-karts are built for speed and are typically for drivers wielding licenses. However, the weekend is for family and the Youth Track is open to kids 8 years of age and up; so, the whole family can burn rubber and satisfy their need for speed! With the adrenaline pumping, you might not have noticed just how hungry you were. Take the family down to the waterfront community of Des Moines for some hot dogs at the Des Moines Dog House. While the kids enjoy some classic corn dogs and chips, parents can try some of the experimental delights that make this house of hot dogs so special, like Columbian chorizo, linguica, or a Louisiana hot link. After lunch, head down to the Marine Science and Technology (MaST) Center and discover a new world beneath Puget Sound! This aquarium is open for public viewing every Saturday and admission is FREE! Kids will get a chance to view over 250 native Puget Sound species, touch some Puget Sound creatures in two large touch tanks, and stand in awe under one massive, 38-foot Gray Whale skeleton. If the visit to the MaST Center got the family in the mood for some seafood, head next door to Salty’s at Redondo Beach. A true Pacific Northwest classic, Salty’s has served delicious, locally sourced seafood for decades. With an extensive kid’s menu featuring not only fish and chips, but grilled cheese, hamburgers, and more, there will be plenty of crab, salmon, and seasonal catches for the seafood-loving parents to enjoy. 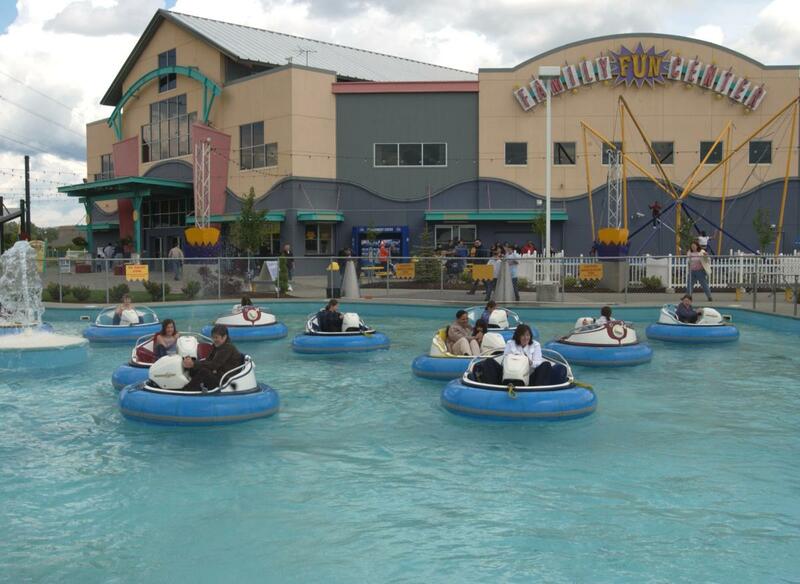 A true metropolis of fun activities, Family Fun Center is exactly that: FUN! With laser tag, bumper boats, batting cages, mini golf, bowling, and a whole lot more, you’ll find that kids will sleep quite well after a few hours at Family Fun Center. While you’re there, stop by Bullwinkle’s Restaurant for some pizza or chicken sliders and finish off the meal with a molten lava cake platter! Just down the street from Family Fun Center sits the biggest shopping center in the Pacific Northwest, Westfield Southcenter. If the kids have any energy left, take them to the kid’s play place, Disney store, LEGO store, or Build-A-Bear Workshop. There are plenty of high-end retailers for adults too; and after your shopping adventure, head to the third floor and catch a 3D movie at AMC Theatre’s massive IMAX screen. Finally, end your day with a relaxing Caribbean dinner and a Bahamarita (get a Raspberry Surfer for the kids) at Bahama Breeze. After three days of exploring Seattle Southside, it’s time to catch the light rail and take a ride to downtown Seattle. Head to the Stadium stop if there’s a Seahawks, Sounders FC, or Mariners game; University Street station to see Pike Place Market, the Seattle Aquarium and the Great Wheel; or get off at Westlake station and hop on the Monorail to Seattle Center to see the Space Needle, MoPOP, and the Seattle Children’s Museum.